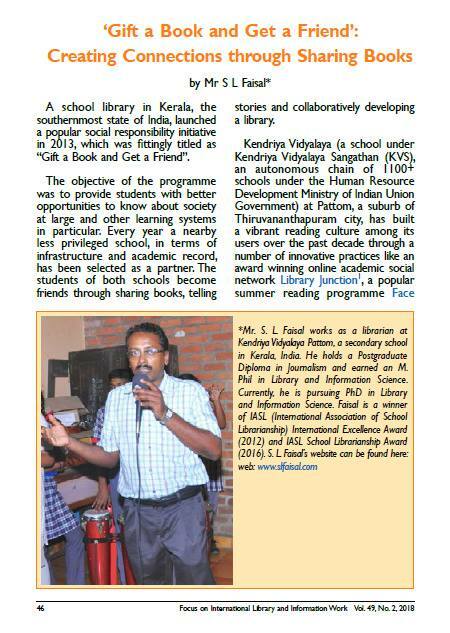 KV Pattom library’s popular social responsibility initiative ‘Gift a Book and Get a Friend’ has been featured in the international journal, Focus on International Library and Information Work, Vol.49, No.2, 2018, published by the International Library and Information Group (ILIG) of the Chartered Institute of Library and Information Professionals (CILIP), UK. 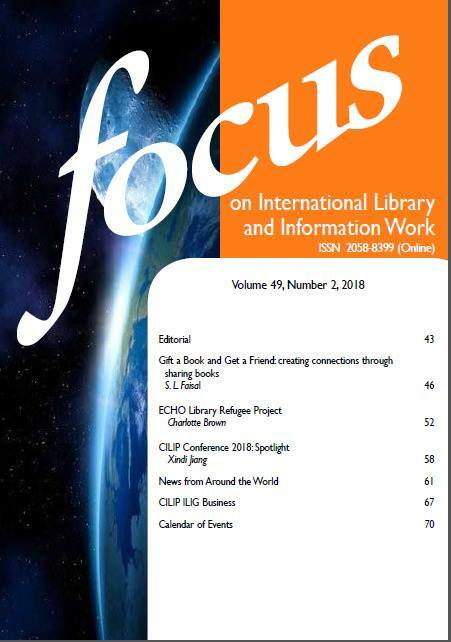 Focus articles are primarily intended to keep readers (who are professionals from a variety of different types of library and information services in over 60 countries) informed about what is going on in the international library and information world, to introduce new ideas and programmes, report on activities and experiences, etc., rather than be ‘academic treatises’. On behalf of the Project Team, I thank Philip Segall, the Editor of Focus for supporting this small idea and showcase it on a global platform. 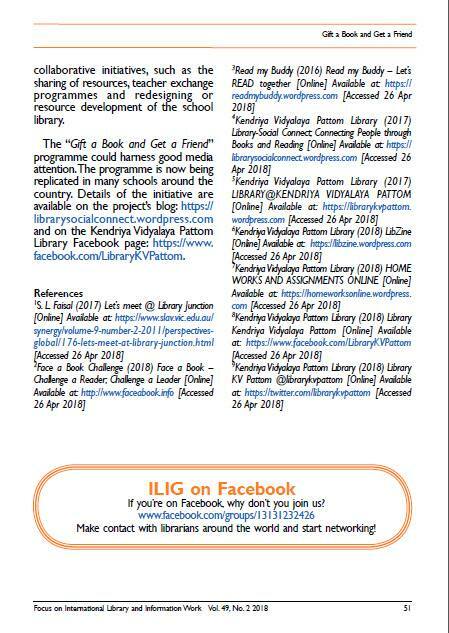 Thanks to Premila Gamage, Librarian, Institute of Policy Studies, Sri Lanka for her inspiration and guidance. 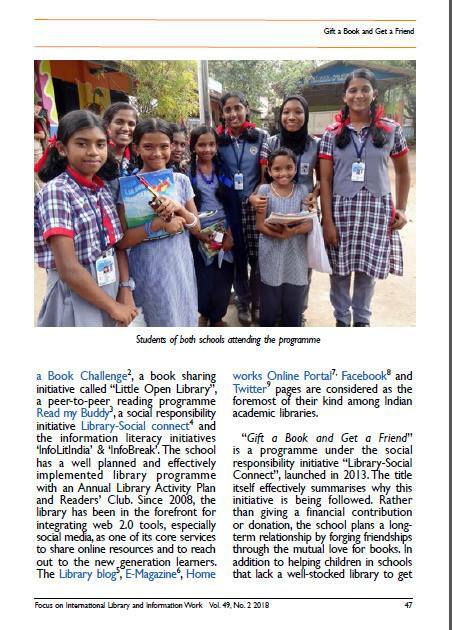 Congrats and thanks to all Students, Teachers and Principals of KV Pattom who have been involving in this social connect initiative since 2013. 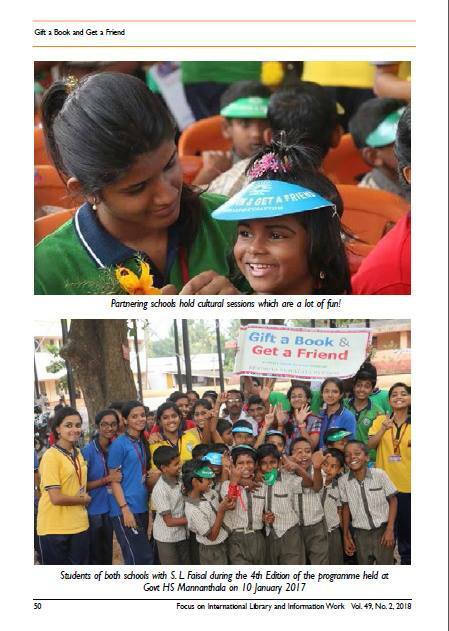 Greatful to Neerada Mam and Ajayakumar Sir for being the pillars of this project. 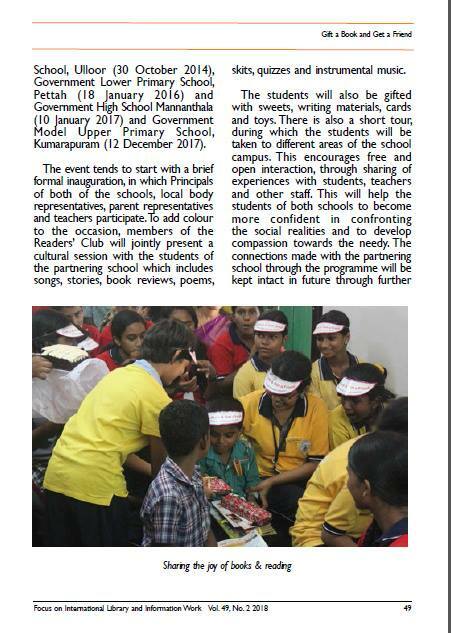 Let’s continue this journey to make everyone read and prosper through sharing of books and ideas.